I used to think badly of some of the people I saw on the New York City subway. They were misusing video games. They didn’t know what I was sure I knew: the proper way to enjoy video games. These folks would would sit on the bench in the C train, playing a video game on a PlayStation Portable, a DS or iPhone, with no headphones on and the volume turned down to zero. They might have been having a good time. As far as I was concerned, they might as well have been talking during a movie, texting while watching a TV show or treating the opera as a backdrop to passing gas. These game-music-ignoring gamers were disrespecting the source material. These game-music-ignoring gamers were disrespecting the source material. They were disrespecting the art. People had composed video game music for them. Some person or some team — some member of a coterie of composers who had created the joyful Super Mario Bros. theme and the swelling Halo score — had created music just for these players. In response, these subway gamers turned down the volume. These folks decided that video game music was not something video games needed. They decided that video game music was something they could ignore. These people were philistines, and in 2010, I became one of them. For many years, I tried to ignore the pervasive implication that video game music doesn’t matter. My childhood and my memory confirmed my instincts that it did. My young ears learned to notice the quality of music thanks to the remarkable piano work in Super Mario World. For a long time, Tetris was not Tetris to me if it didn’t play a warbled version of Tchaikovsky. There is no doubt that video game music once constructed among my neurons new triggers to joy. Video game music mattered to me. Play for me, today, the performance of a Tokyo jazz band covering old Donkey Kong tunes and I will become so nostalgic I temporarily lose motor function. The signals were out there, though, that video game music was not essential, that games could be enjoyed without it. Others had an Xbox before I did, and others rejoiced 10 years ago that the Xbox would let its users change their games’ soundtracks. The feature seemed wrong. I was raised on the assumption that gaming music was composed of specific sounds for a specific experience. Do we change the music of the movies we watch? Do we have the hubris to believe we know better than the professionals which song should play at the end of a TV show? I spent the last decade respecting video game music instead of replacing it for something I decided was better. I didn’t use the custom soundtrack feature even once I obtained an Xbox. I would no sooner shun the music of a video game than I would put a sheet over its graphics. To play a game without its proper music playing, I felt, was as good as playing a game with my eyes closed. I must confess, though, that I had a growing skepticism about the selection of video game music. 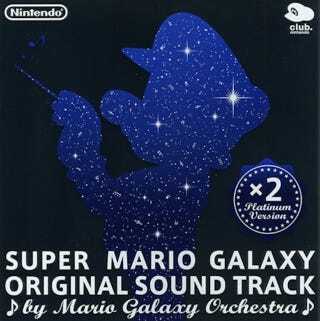 I’d grown up liking Super Mario theme songs but wound up disliking the themes for the modern Super Mario Galaxy games. I’d come to admire the dissonant choices that the people who selected music for game trailers created and lamented that such interesting musical selections weren’t being made in the games I played. Plus, like millions others, I’d been trained by playing Grand Theft Auto, that if I didn’t like the music I was hearing in a video game, sometimes I could just change the in-game radio station. In retrospect, I can see that I was primed to start shunning some video game music, but I would have expected that to begin because of a game whose music was bad. That was not to be. I changed my ways in 2010, during a long gallop in a game that contained a great score. While I played the grand western Red Dead Redemption, I finally did it: I turned the volume down. I played without music. Utility trumped the pure appreciation of an artistic work. The game’s music doesn’t deserve the blame or the credit for the transformation of my behavior and values. The game’s beautiful graphics might. They drew me in. If I had to travel from one end of the game’s early 20th-century wild west to the other, from Thieves’ Landing to Gaptooth Ridge, I would make my cowboy hero climb onto a horse and gallop there. I enjoyed seeing the sights and shooting the random hawk along the way, but most of the ride was blissfully void of commotion. I did not mind. It felt right to shun the stagecoach and to ignore that this was a video game and that I could simply teleport to a new point on the map. The West of Red Dead Redemption was beautiful and demanded a savored pace. I did what felt aesthetically right. Horses don’t have stereos, a fact which may have finally given me the courage to turn the volume down in a video game. I enjoyed Red Dead’s score, but I was comfortable with quieting it. I believe that urge came from my 21st-century desire to multi-task. On my iPhone, I was behind in listening to podcasts. I had backlogged the device with audio files about the national news and about video games and about This American Life. In the world of my TV where the West was rendered, a cowboy didn’t need to hear a soundtrack, I reasoned. In the world of my couch on which I sat, game controller in hand, I could have an iPhone playing back something I just needed to hear. Utility trumped the pure appreciation of an artistic work. Efficiency superseded focus. After I turned the volume down once, it was easier to do it repeatedly. Soon, many of Red Dead hero John Marston’s long gallops across the west were accompanied by iPhone audio in my ears. I am aware of the risks I took. Red Dead Redemption, I learned the right way, improves its own beauty during one remarkable and required long transitional journey by playing one of the game’s very few songs. I had no podcast playing when the song began. I played Red Dead Redemption in the spring. By the summer I was playing through entire games on my Wii or PlayStation 3 with backlogged podcasts playing in my ear. I would quiet them during a game’s dialogue scenes. Sometimes I would listen to the game, but lower the volume and reach for my iPhone if I’d failed at a challenge. If I was going to have to re-play part of a game, I reasoned, I didn’t have to re-listen to it as well. I could listen to something else, even just for 30 second, 30 minutes or however long I was repeating something I’d seen and heard but not correctly done before. During the summer I learned by accident that some iPhone games that I enjoyed, such as Drop7 or Tilt To Live, could run while the audio version of The Newshour With Jim Lehrer played in my ears. I liked the Tilt To Live soundtrack, but I liked doing two things at once better. I decided that the purity of listening to a game’s audio was less important than playing a fun game while catching up on the day’s global news. I must have decided this in the location where I most often play iPhone games: the New York City subway. On the C train, in the summer of 2010, I had become one of those people who didn’t think music in video games was essential. Through the fall, I continued to treat game music as an optional garnish. As I never had before, I sometimes chose to ignore it. Not every part of a video game is essential. There is some debate about whether writers are necessary for the creation of a good video game. Game designers can just write their own scripts, some say. And while a game can have dialogue, it is still not required for a game to have voice-actors. The dialogue could be presented as text. Games are the entertainment of meddlers and tinkerers. We, the players, will change them to suit ourselves. Until 2010 I’d never have put composers in that camp of video game non-essential personnel. I’d have lumped them with the people responsible for making sure that the games I play look good or have impressive sound effects or doesn’t crash. A game couldn’t be made without the people responsible for those tasks, and, if it was, it certainly couldn’t be enjoyed. I’ve met video game musicians. I’d been to their studios. I’ve seen the hard work they do. Until 2010 I felt they were required. In 2010, however, my behavior proved they were not. These men and women who helped instill great memories in my brain were creators whose work I was now sometimes choosing to ignore. It felt wrong, but it felt inevitable. How strange and yet how appropriate it is that we gamers think we can do this. How odd it is that gamers can decide that a signature component of the creations they play can be turned off. It does makes sense. Games are the entertainment of meddlers and tinkerers. We, the players, will change them to suit ourselves. We don’t merely observe or consume when we play a video game. We poke. We bend the rules. Sometimes, we control the camerawork. Often, we speed up or slow down our hero’s journey. On many days, on the C train and elsewhere, we confirm by our actions that we don’t believe video game music always matters. We take a risk ignoring video game music, because we can and because it suits the behavior of a gamer. I’m now one of those people. I hope I don’t miss something great.